walked for 3 and a half hours today. As I write this I'm very tired and just about to fall asleep! 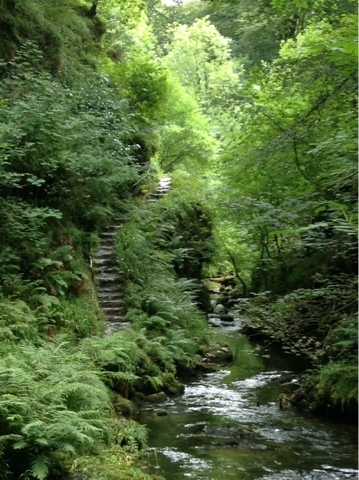 Although a long walk, "Lydford Gorge" is beautiful. 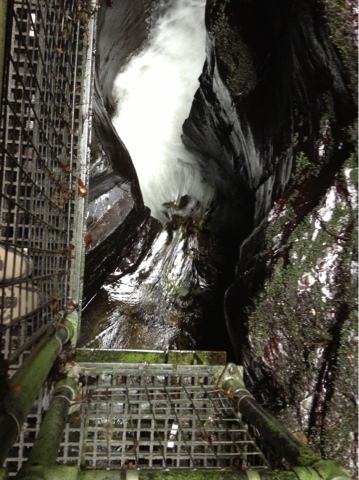 There are two main waterfalls: "white lady" (shown above) and "devils cauldron" (shown below). 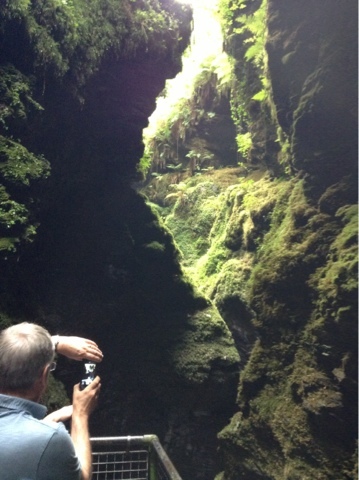 We walked all the way around the rivers and through the woods, and I took plenty of photos! 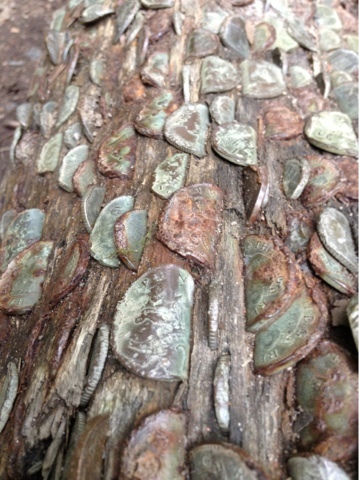 In the first picture (above) coins had been pushed into a branch over many years and it looks really pretty. We tried to wedge a 2p coin in as well but it's harder than it looks! 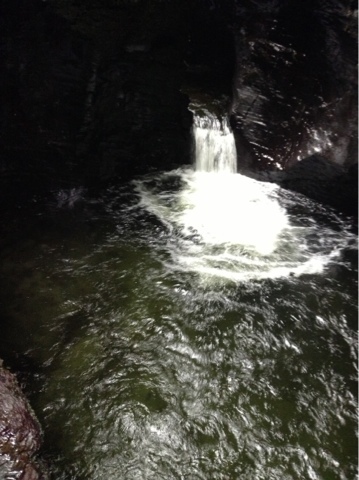 The waterfalls were so pretty and it was a lovely walk (although steep in places! - Getting the old heart going!) it's a "National Trust" area so we sat and ate at the tea room (and got chased by wasps). The pathways in some parts of the walk are really narrow and rocky and we had to hold on to the handrail for our dear lives in the steep parts haha! 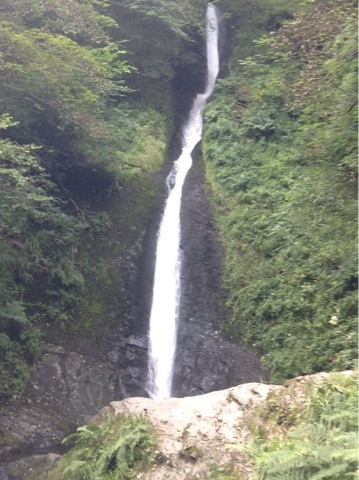 Overall I had another great day and I would recommend it to anyone interested in walking and waterfalls and beautiful scenery.